Acclaimed by The New York Times for “effortless virtuosity with intelligence and good taste,” and by El Nuovo Dia (Puerto Rico) as a “magnificent North American guitarist, full of virtuosity, magnificent technical precision, and a masterfully delivered diverse range of sound,” Stephen Robinson tours extensively as a recitalist, collaborative artist, and orchestral soloist. He performs at leading institutions and festivals worldwide and has appeared as guest soloist with orchestras including the Cincinnati Symphony and Boston Pops Orchestras. Stephen Robinson has garnered numerous international and national awards, fellowships and grants, including several from the National Endowment for the Arts. He has served as a Fulbright Fellow to Canada, and has been honored twice by Stetson University’s Hand Award for Excellence in Research and Creativity for his unparalleled performances and recordings. 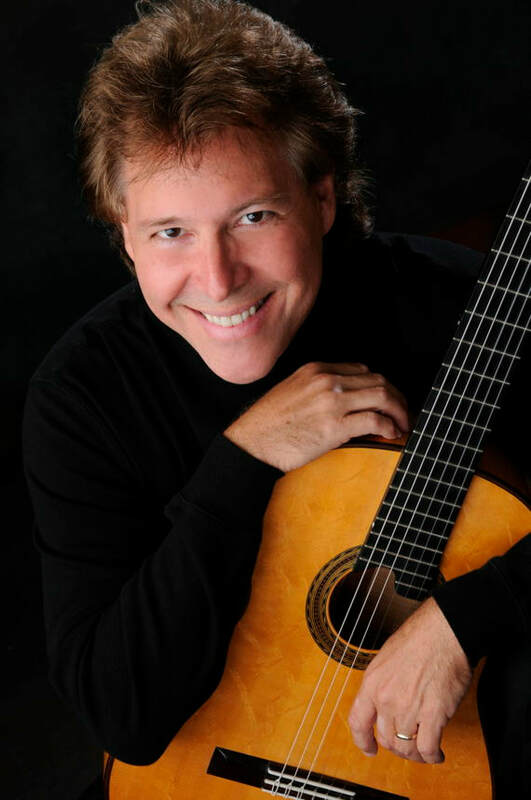 A top prize winner in five major international competitions, including the XXIII Concours International de Guitare in Paris and the VI Concurso Internacional de Guitarra in Venezuela, Robinson is an alumnus of the distinguished Affiliate Artists Touring roster and a member of the State of Florida Touring Program. A native of New York, Stephen Robinson began his guitar studies with Bruce Holzman at Florida State University, and worked closely with Andrés Segovia, who called him “a magnificent guitarist, one of the most brilliant guitarists of our times.” After pursuing graduate work at the Yale School of Music, Florida State University awarded Robinson its’ first Doctor of Music in Guitar Performance. Dr. Robinson is Professor of Music at Stetson University, where he founded and has directed the Guitar Program since 1983. His alumni have excelled in the finest graduate programs of Yale University, The Eastman School of Music, The Peabody Conservatory, Florida State University, and University of Southern California, among others, and many now hold prominent positions in the professional world. Stephen Robinson resides in Florida with his wife, Patrece, and together they have raised four sons and have four grandchildren. He performs exclusively with D’Addario Strings and plays a 2013 Antonius Müller guitar.